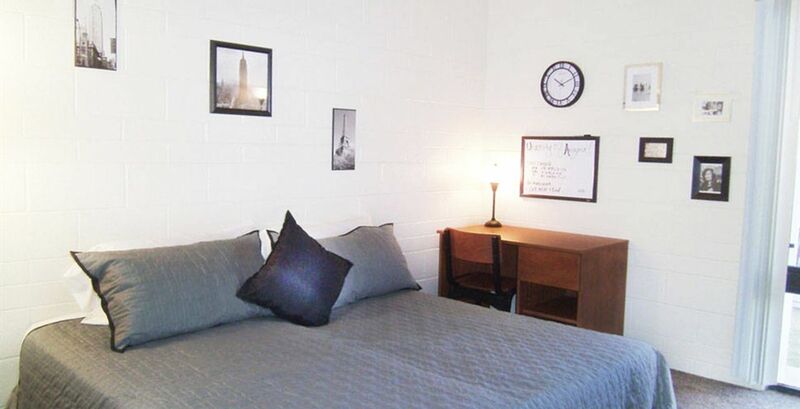 Live within walking distance of the University of Arizona, with a wealth of arty venues and eateries to explore. After class, dig into an enormous sandwich from East Coast Super Subs before heading for an intimate live music gig at The Rock. Alternatively, hop in a cab and head downtown for plays at Rialto Theatre, or old school tunes at Club Congress. Discover Tucson’s fantastic museums and galleries at the weekend, starting with the Museum of Contemporary Art. Then, drive out to the Sonoran Desert or go hiking in the Tucson Mountains. 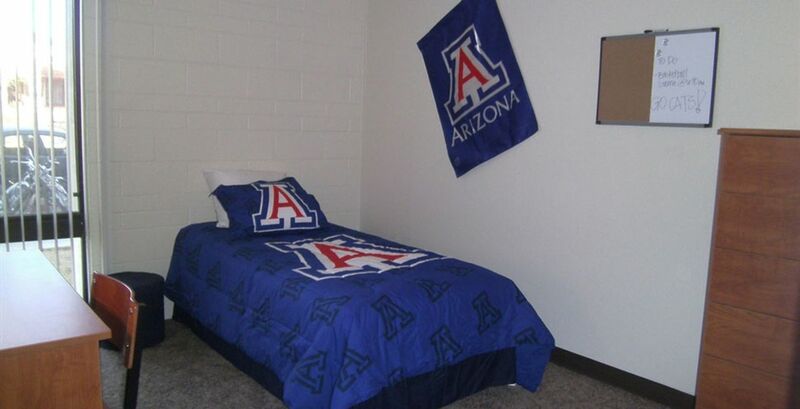 At Wildcat Canyon Village, you’ll be two blocks from your classes at the University of Arizona, within a five-minute walk. If you’d prefer to cycle, you can store your bike on-site, while drivers can take advantage of the secure parking. After a long day at university, head home and jump head-first into the outdoor pool, before spending a lazy afternoon topping up your tan on the sun deck. When you’ve had enough sun, head to the clubhouse to chat with your friends, shoot some pool in the games room, or watch your favorite shows in the TV lounge. At night, the barbecue area is a great place to make new friends. Throw some food on the grills and stay up late, bonding with your new neighbors. You’ll love coming home to your cozy apartment, whether you choose to have your own space in a one-bed or share accommodation with a friend. Whatever you go for, you’ll get your own bathroom to freshen up in after a long day. After, connect to the high-speed internet and get stuck into your assignments from home, using the air-conditioning to keep your room comfortable. 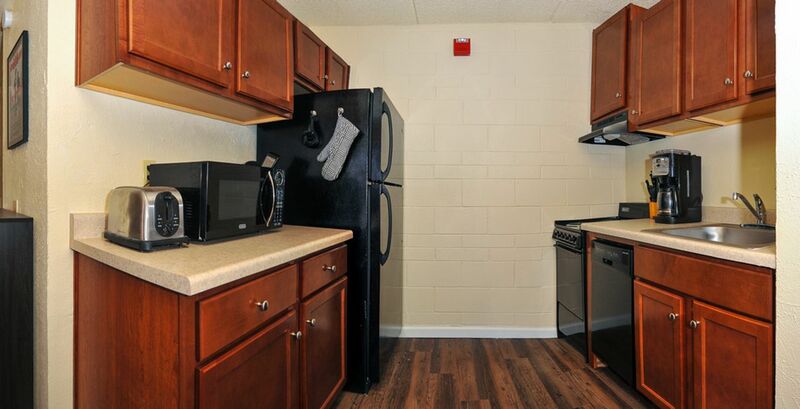 You’ll find it easy to manage your student budget, with utilities like water, gas, electricity and cable included in your rent as well as individual leases. You’ll also have added peace of mind with controlled access, on-site management and night patrol services. Jetzt buchen für einen 200 $ Gutschein von Amazon und vieles mehr!Die nächsten 5 Personen, die für Herbst buchen, zahlen keine Kaution und erhalten noch dazu 200 $ Mietkredit und einen Amazon-Gutschein im Wert von 200 $! Wir haben leider keine Unterkunft gefunden, die deinen Wünschen entspricht.Alle Privatzimmer in Wildcat Canyon Village ansehen. Wir haben leider keine Unterkunft gefunden, die deinen Wünschen entspricht.Alle Ganze Wohnung in Wildcat Canyon Village ansehen.